Troop 888 has an excellent advancement record. The Troop has produced 22 Eagle Scouts since its inception in 2004. Scouts are encouraged to earn rank and merit badges and are recognized immediately for doing so. Court of Honor ceremonies are held quarterly to recognize the Scouts' achievements. Leaders are recognized per BSA, Council, and District guidance. what everyone is talking about? on how to travel down the merit badge path! Merit badges give scouts the opportunity to investigate over 120 different areas of knowledge and skills. The merit badge program plays a major role in the scouting advancement program & participation can begin as soon as a scout registers with a troop. A scout can explore a variety of topics; the only limitations are the scouts ambition & availability of adult merit badge counselors to offer instruction. A scout can work on a merit badge from when he has opened it until he either completes it or turns 18 (when all Boy Scout advancement ends). He can continue to work on the requirements in force at the time he opens the merit badge or he can change to newer requirements resulting from changes since he opened the merit badge. A Scout decides on what specific merit badge would they want to earn. The Scout obtains approval and a merit badge card to begin the merit badge from the Scoutmaster. You must have another person with you at each meeting with the merit badge counselor. This person can be another scout, a parent or guardian, another relative. Then Scout then contacts the counselor to begin badge work. The counselor reviews the requirements with the scouts and they decide on projects to complete and a completion schedule. The merit badge counselor certifies completion of requirements and signs the merit badge card. The merit badge application card is presented to the Advancement Chairman. The Scout and counselor should keep their portions of the card. Then the scout is awarded the merit badge patch at a court of honor or troop meeting. 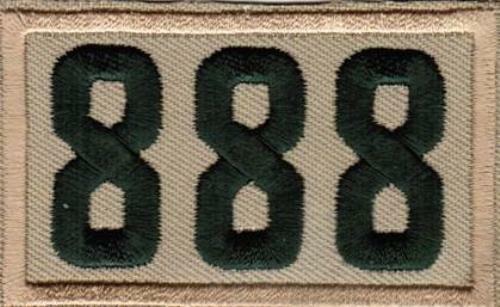 A boy scout can begin earning merit badges as soon as he joins a troop, but no merit badges are required for advancement until he receives his First Class rank. 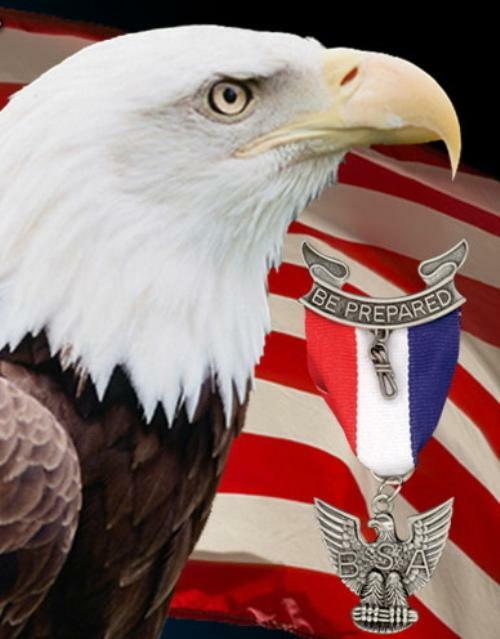 Advancement to Star, Life, and Eagle all require completion of merit badges, service, and leadership. To reach Eagle rank, a scout must complete a total of at least 21 Boy Scout merit badges listing them in his handbook, 13 of which come from the Eagle-required badge list. 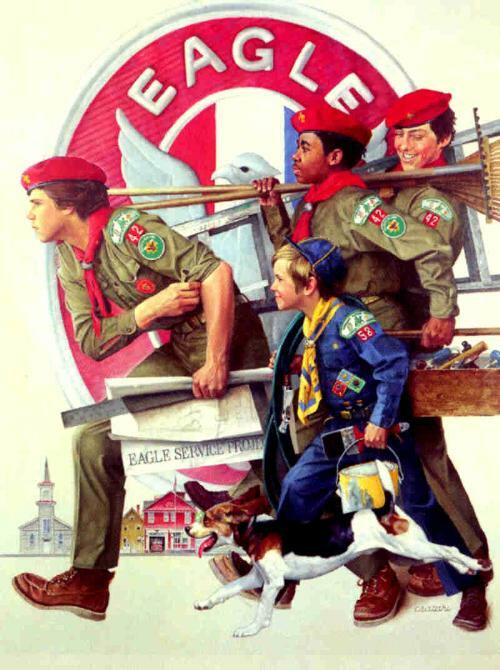 Eagle Required merit badges: Camping, Citizenship in the Community, Citizenship in the Nation, Citizenship in the World, Communications, Cooking, Environmental Science, Family Life, First Aid, Personal Fitness, Personal Management, Lifesaving or Emergency Preparedness, Swimming or Cycling or Hiking. A Scout can purchase pamphlets from BSA, find them in a troop library, or even check them out from a public library. Requirements and worksheets for each merit badge can be found below by clicking on the title of the badge. Not all counselors require the worksheet. Merit badge counselors are volunteers that have been selected, trained, and approved by council or district committees. They are knowledgeable in the topic and understand the goals of scouting and the Boy Scout merit badge program. Mid-America Council has a directory of counselors and we have several within the troop. NEED A LIST OF REQUIREMENTS OR A WORKSHEET?